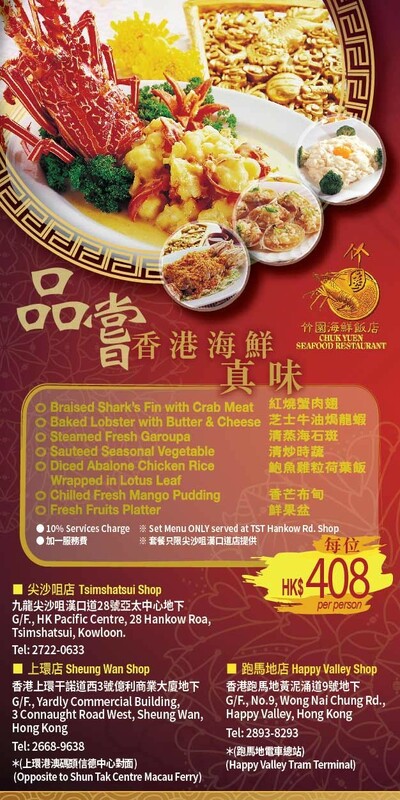 Peruvian food is becoming more popular the world over,including in Hong Kong. 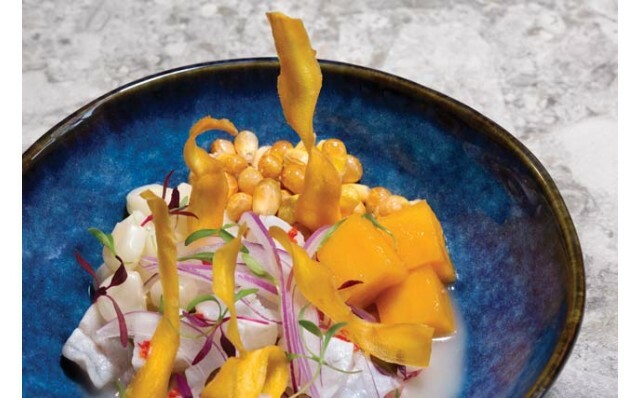 The recent opening of ICHU Peru, by celebrated chef Virgilio Martinez Veliz, of the award winning Central restaurant in Lima, is a case in point. ICHU offers contemporary Peruvian cuisine in a bistro-style setting. 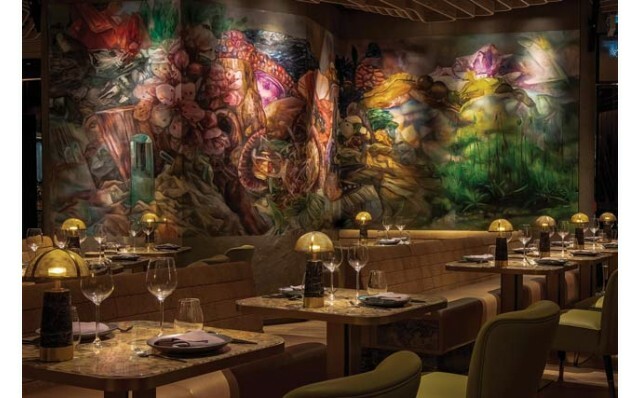 The restaurant, whose richly-textured Peruvian-inspired décor recreates the casual, relaxed atmosphere of a local dining in Lima, is divided into distinct sections which include a main dining room, a separate bar, a chef’s table, and a large outdoor terrace for additional guests. We were keen to try out the authentic Peruvian food that ICHU delivers under its Korean-born head chef Sang Jeong, a protégé of Chef Martinez. 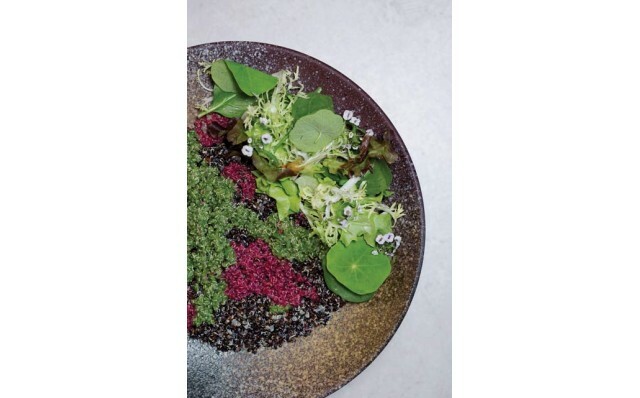 We started with several signature appetisers that included Pargo Al Rocoto – snapper, celeriac, avocado, aji rocoto ($150), a zesty Peruvian- Japanese dish, Palta Alta Quemada – charred avocado, aji limo, tomato ($100), a Quinoa Salad – quinoa, greens, goat cheese, ginger sofrito ($140), and Peru’s most famous dish, the Ceviche Classico – snapper, choclo, red onion, sweet potato ($150). For our sharing hot plates, we tried Pez Amazonia –seabass, tamarillo, ashed leaves ($420), a juicy baked fish wrapped in banana leaves; Tacutacu Chupe – tiger prawn, Peruvian black beans, local red pepper, squid, rice ($180); and Costillas De Res – beef short rib, coriander, seco sauce ($360), a well-cooked, succulent short rib. Two desserts, Tres Leches – vanilla sponge, milk, carrot sorbet, carrot meringue ($90) and Queso De Cabra – goat cheese cake, quinoa, raspberry coulis, raspberry ice cream, tapioca tuile ($100) rounded out this delicious meal. 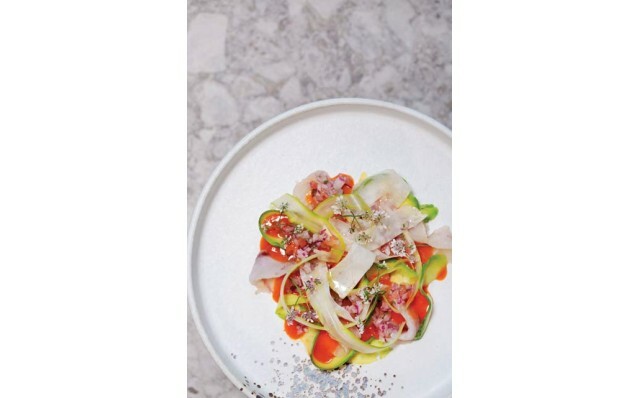 ICHU is a welcome addition to Hong Kong’s evervibrant dining scene. Give it a try and be sure to book early.